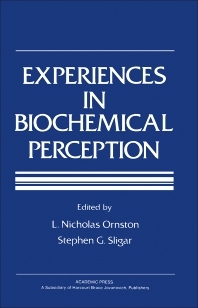 Experiences in Biochemical Perception discusses the breadth of contributions of I. C. Gunsalus, a versatile biochemist, in the field of biochemistry. This book explores the mechanism of electron transport to protein structure and documents the interface between the Gunsalus laboratory and the physicists. Organized into five parts encompassing 27 chapters, this book starts with a description of metabolic processes and the study of pyruvate oxidation. This text then illustrates how studies of microbial respiration led to the discovery of pyridoxl phosphate. Other chapters review dehydrogenases that participate in the dissimilation of branch-chain aromatic acids. This book further discusses the phosphorus–nitrogen bond in phosphorylated proteins and the inactivation of glutamine synthetase. The final chapter describes the elucidation of the function of the coenzyme biotin and generalizes about the use of bacteria in nutritional studies. This book is a valuable resource for readers and researchers engaged in the study of genetics, enzymology, microbiology, chemistry, and spectroscopy.